AURIGA the Charioteer is a medium-sized and bright constellation. 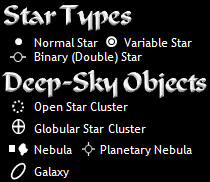 Capella is the brightest star, with an apparent magnitude of 0.08. As far as the cosmic wonders in Auriga, the charioteer has an abundance of open star clusters. AE Aurigae, also known as the "Flaming Star," is a remarkable double star. The constellation is east of the very-faint Lynx constellation. Now you know more about Auriga!